Providing Barcode Systems Labels, ribbons, scanners, printers, custom automatic applicators, conveyors, weight scales, etc. for lot number and inventory tracking, EDI, case labelling, and product identification. Servicing New Mexico manufacturers and other businesses. Try our free on-site consultations. We offer service, parts, printheads, barcode (sometimes written as two words: bar code) software, and fonts. 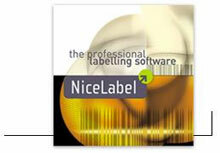 Tharo Systems' EASYLABEL barcode label design software. © Copyright 2001-2011, Big Bar Packaging, LLC. All Rights Reserved.